mass publicity help to encourage the farmers for change the planting distance. KVK has made continues effort through trainings and FLD for adopting the dense planting. KVK Babhaleshwar is the pioneer in intervention of dense planting technology in Bt cotton. 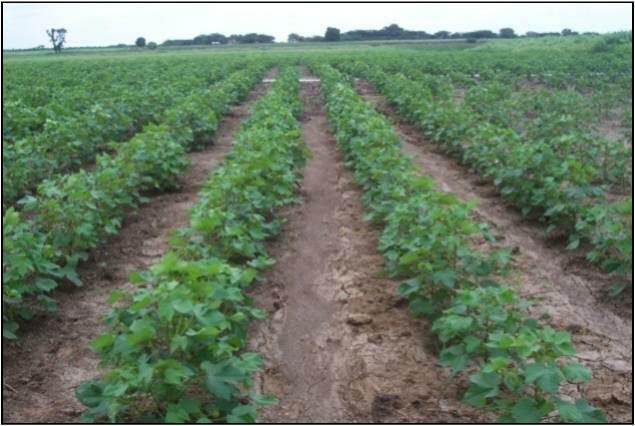 Now about 90-95 per cent cotton growers of the district have been adopting the dense planting distance (4x2 feet). In order to make suitable mechanical intercultivation refinement made in 4x2 ft. planting distance. Now the farmers are using the planting distance 5x1.5 ft, 6x1 ft., which increases plant population and crop yield.